The following are ideas and concepts in physics which I believe to be deeply important in understanding the nature of the Universe, those concepts which are at the very frontiers of Physics. 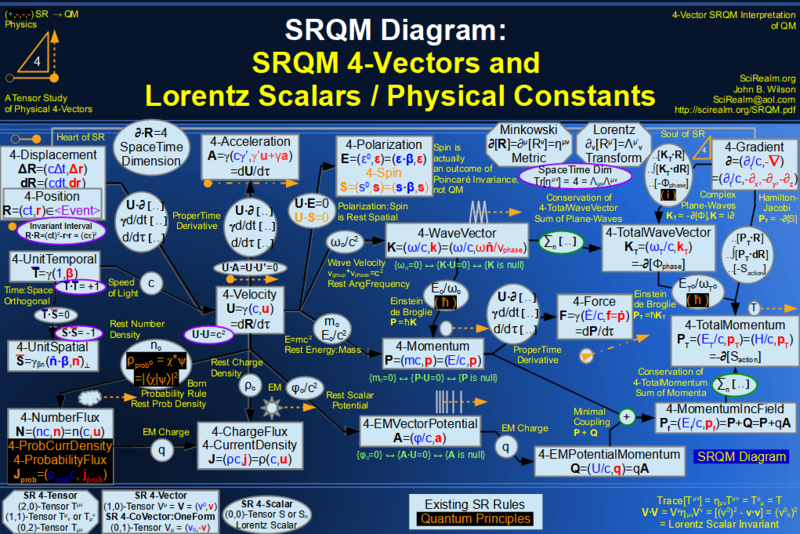 The following are important concepts at the frontiers of physics, relating primarily to the measurement problem in QM. 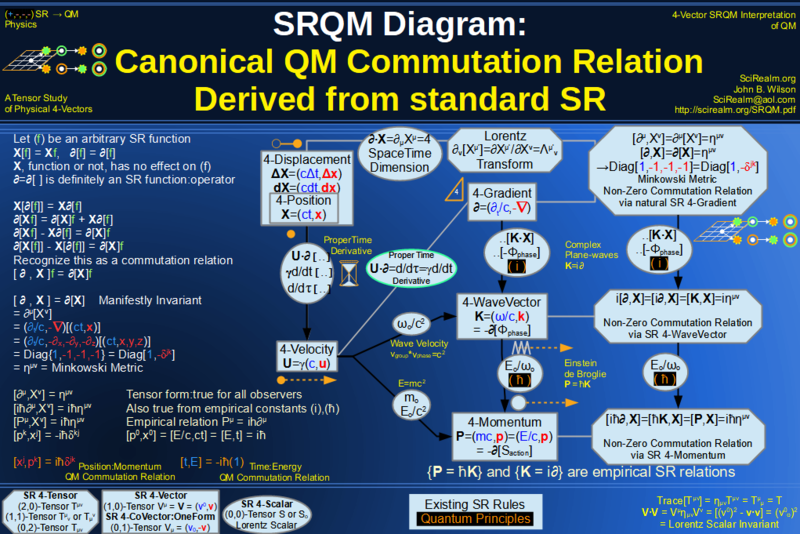 I have now done a lot more research, and it turns out the you can derive QM from SR. So, I need to update a lot of the stuff below. 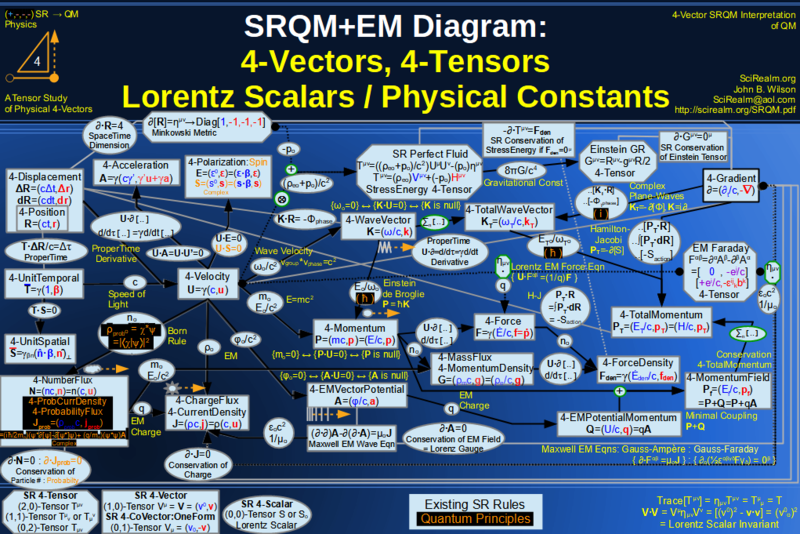 I no longer believe that QM is fundamental. Bose-Einstein Condensate (BEC): A system of particles cooled sufficiently such that it displays coherent quantum behavior. (i.e. it acts like a single particle). The phases of the individual particles become locked together and you get macroscopic level quantum behavior. Bell's Theorem: Statement regarding the mutual exclusivity of QM and locality. 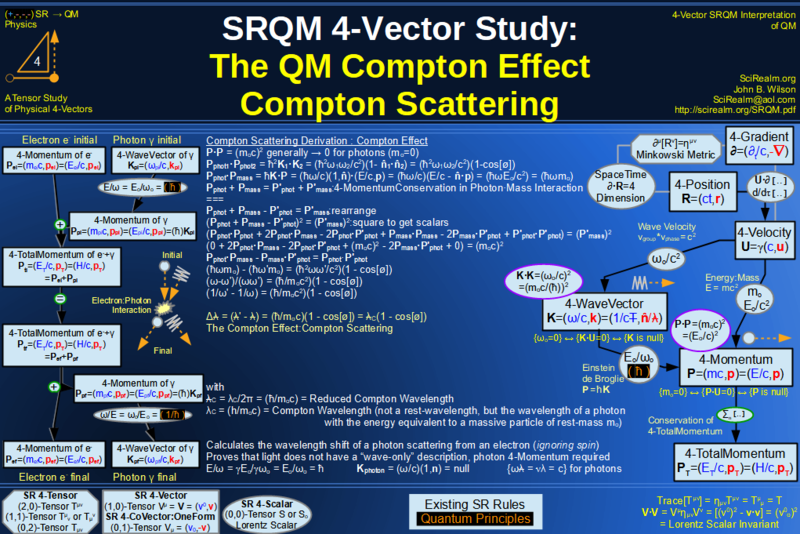 Almost all experiments to date, and all modern experiments, show that QM is correct. *Years later* Actually, it is more a statement that one must use quantum probability calculations and not classical probability calculations. Also, what is actually measured becomes extremely important in the calculations. In classical mechanics, one can calculate probabilities on the assumption that any type of measurement "could have been" made. In quantum mechanics, non-zero commutation means that certain measurements "could not have been" made unless the measurement setup was altered, which means that the entire experiment is different. Complementarity: The idea that only one set of related variable may be measured at a given instant, such as position or momentum, time or energy, angle or angular momentum. This comes about from non-zero quantum commutation. Diffraction: Effect responsible for the bending of particle trajectories around edges, slits, other particles, etc. Duality: Idea that only one aspect of a quantum, either the particle property, or the wave property, but not both may be observed at a given time. Electromagnetic(EM): Phenomena involving photons (light particles), which classically are made up of fluctuating electric and magnetic fields. Entanglement: When two or more particles become "phase-locked", their correlations during measurement can exceed the amount allowed classically. It comes about as a result of conservation laws. 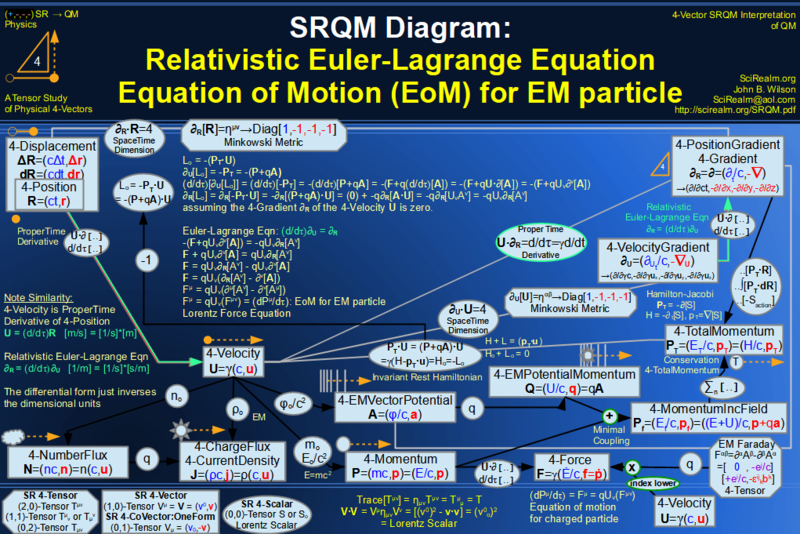 EPR Paradox: Einstein's attempt to show that QM is incomplete. 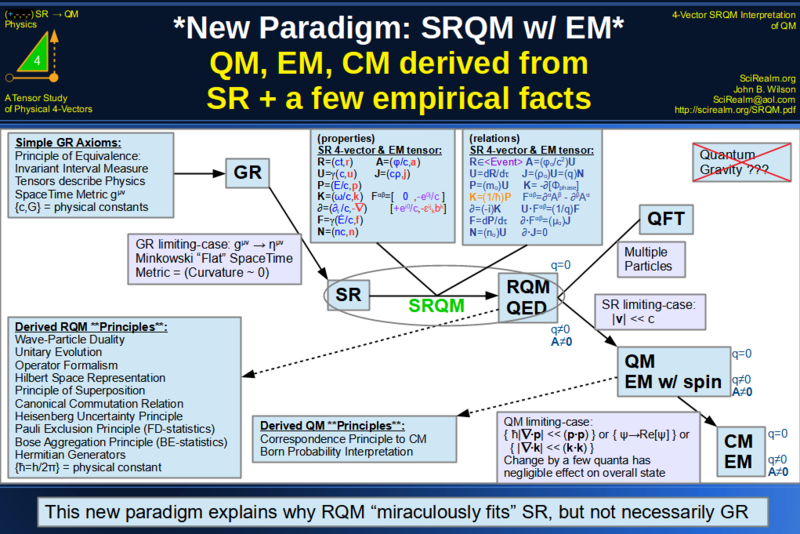 Idea is to make complementary measurements on an entangled system, showing that more information than is allowed by QM is obtainable and that therefore there must be a deeper theory. Actually, this is now better described as follows: On a particle with non-zero commutation, measurements on the non-commuting properties can be made at best sequentially, not simultaneously, as the experimental setups to measure these properties are different. And the first experiment alters the properties in a minimum way wrt. the second experiment. The EPR experiment, however, allows one to "infer" the 2nd property by making a measurement on a seperate but entangled partner particle. This doesn't break Heisenberg, as the uncertainty relation is about sequental time-separated measurements on a single particle. Gauge Invariance: Historical name for what is better described as phase invariance. 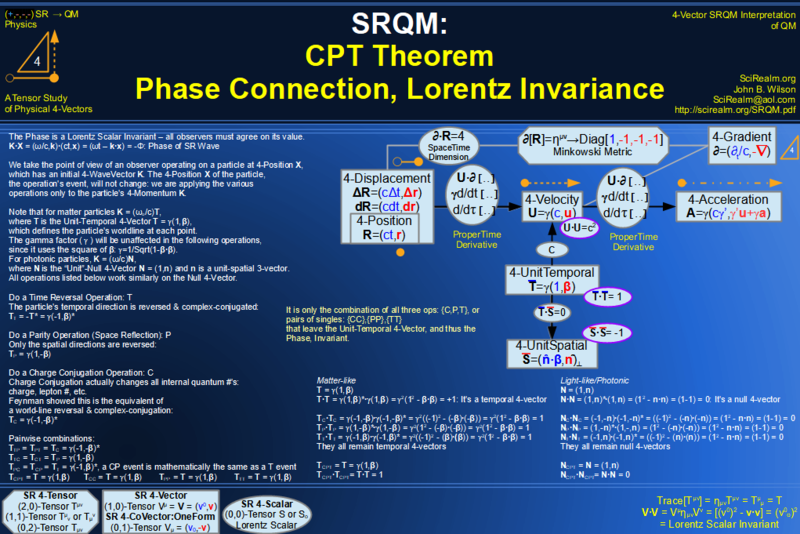 The idea that the structure of the theory is invariant under certain types of transformations. There are two types, global and local gauge invariance. Global gauge invariance says that a state vector can be multiplied by a constant phase factor everywhere in spacetime without affecting physical results. Psi(t,x)=e-ia Psi(t,x). Local gauge invariance says that a state vector can be multiplied by a phase factor which varies from point to point without affecting physical results. Psi(t,x)=e-ia(t,x)Psi(t,x). However, in order to do this, the existence of a gauge boson, in this case the photon, is implied, which preserves the phase invariance. Gauge Transformation: Historical name for what is better described as a phase transformation. Gravity-Induced Quantum Interference: A table-top experiment using monoenergetic thermal neutrons in a vertical interferometer experiment. One beam travels along a higher gravitational potential, which changes the phase difference in the standard QM way, providing the usual interference pattern. The experiment, which is purely quantum mechanical, also shows that gravity is not purely geometric at the quantum level because the effect depends on (m/hbar)2. See Sakurai, pp.126-129. **However**, I no longer believe this argument. 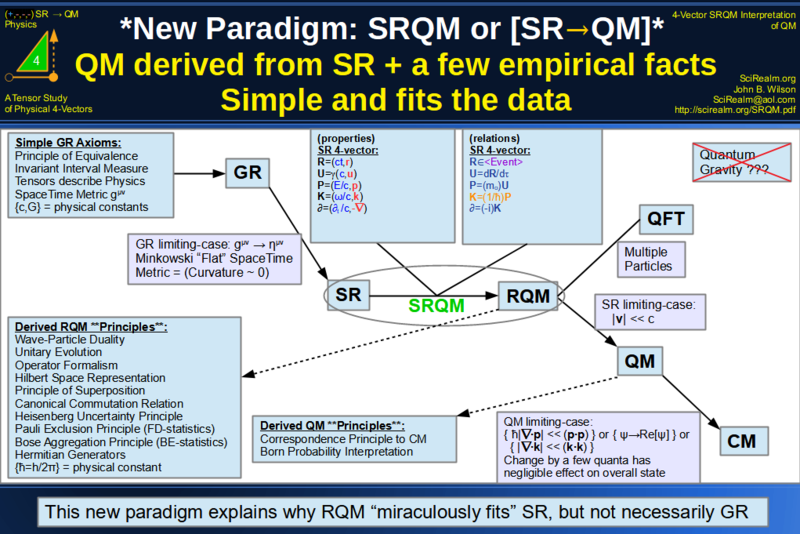 I have since found that you can derive QM from SR. And SR is a limiting-case approximation of GR. 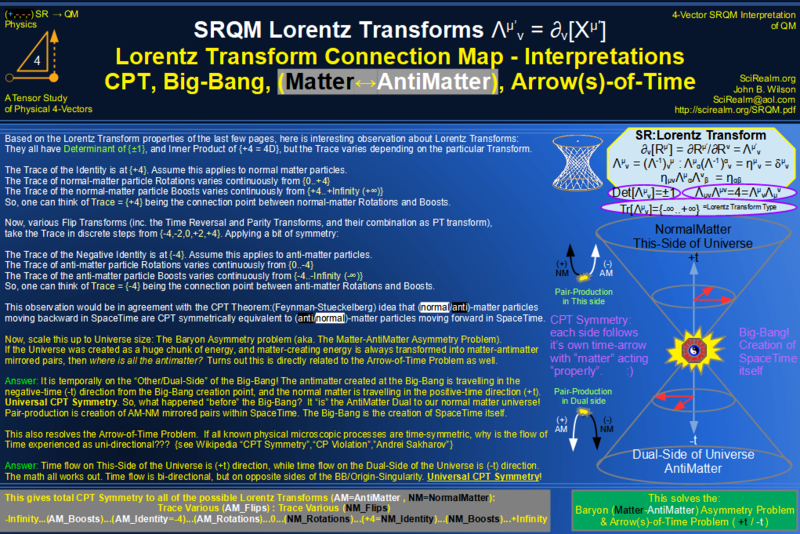 The existence of the physical constant and Lorentz Invarint (ћ) doesn't requre a quantum axiom. 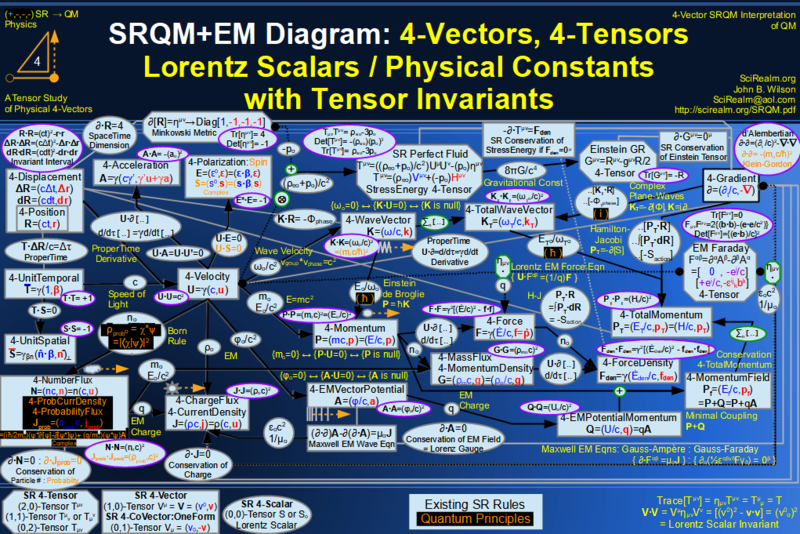 It is the empirically measured constant that comes about from Tensor Invariance rules. Hidden Variables: Theoretical variable supposed to exist which would explain the outcome of a quantum measurement process. To date, the is no experimental evidence of "classical" hidden variables. Interference: The idea that overlapping waves will enhance and cancel each other at various places along the measurement position. Laser: A beam of mono-energetic, coherent, in-phase photons. Locality: Idea that space-like separated events should not affect the outcome of a measurement. 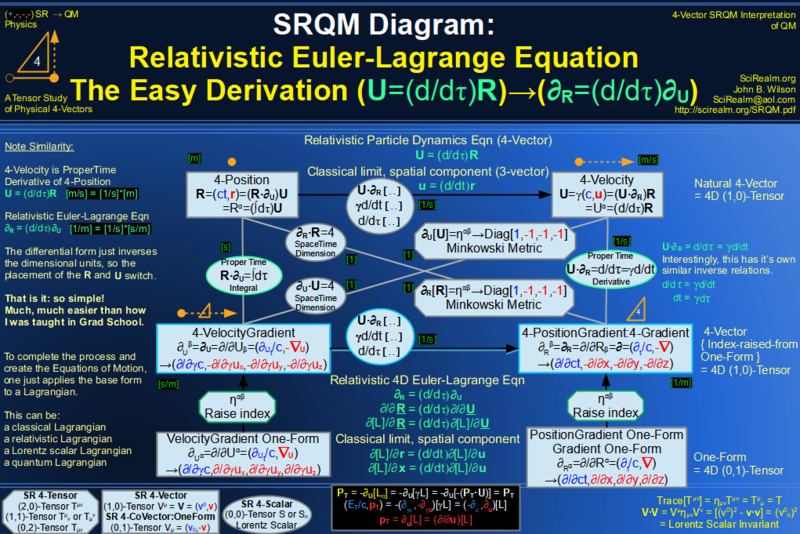 Comes from the rules of SR. EPR does not "break" this. Macroscopic Quantum Effect: Effects which are visible on the human scale but cannot be described using classical physics. Exhibited by large scale correlations/cooperation of particles. Examples include lasers (monochromatic photons moving in phase), superconductivity (electrons moving in phase and without electrical resistance), and superfluidity (bosons moving in phase and without viscous resistance). Measurement Problem: QM only makes probabilistic predictions about the outcome of events, when we know from experience that discrete individual events are what we measure. Also known as the collapse of the wavefunction problem. 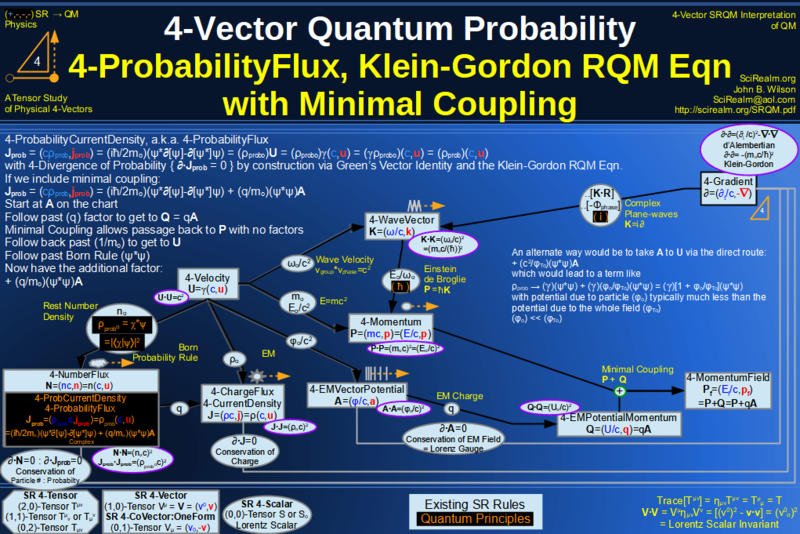 How can a random choice outcome enter into the deterministic Dirac / Klein-Gordon / Schrodinger equation? As it turns out, the wavefunction is informational, not physical. Different observers may see different wavefunctions for the same system. See the Cat Paradox. Non-Demolition Measurement: An ideal measurement which does not cause the destruction of the quantum state being measured. Can only occur in very special types of situations. Related to the Quantum Zeno effect. Phase: The complex mathematical component of a state vector which gives rise to diffraction/interference effects. The overall phase is considered to be a trivial factor which plays no role in physics, although I believe this to be incorrect. Potential: A quantity which describes the approximate/statistical forces acting on particles. 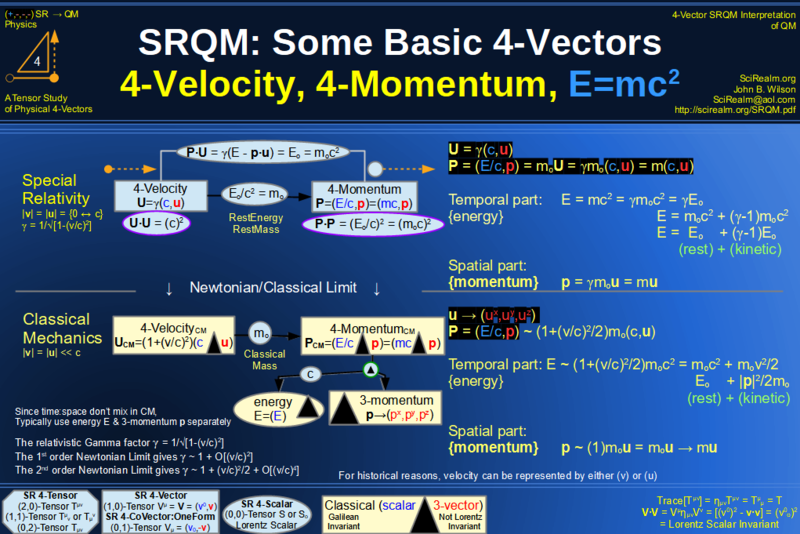 Quantum Mechanics(QM): The theory of nature which describes essentially almost all known physical phenomena wrt. very small systems (i.e. few particles). 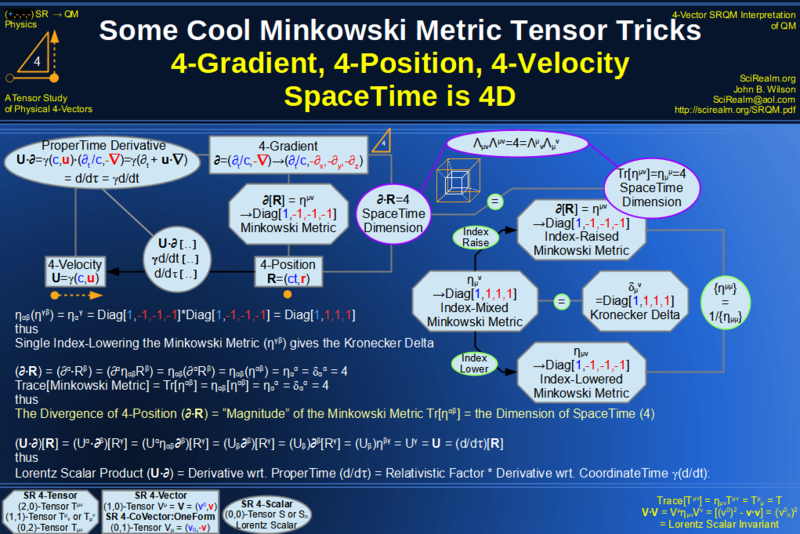 It can be shown that classical mechanics is a limiting case approximation for large systems (i.e. large numbers of particles). Scattering: A quantum projectile particle will interact and bounce off from a target particle at certain angles. Superconductivity: A quantum effect in which the electrical resistance of a conducting substance drops to zero, near absolute-zero temperature. Superfluidity: A quantum effect in which the viscosity of a fluid substance drops to zero, near absolute-zero temperature. 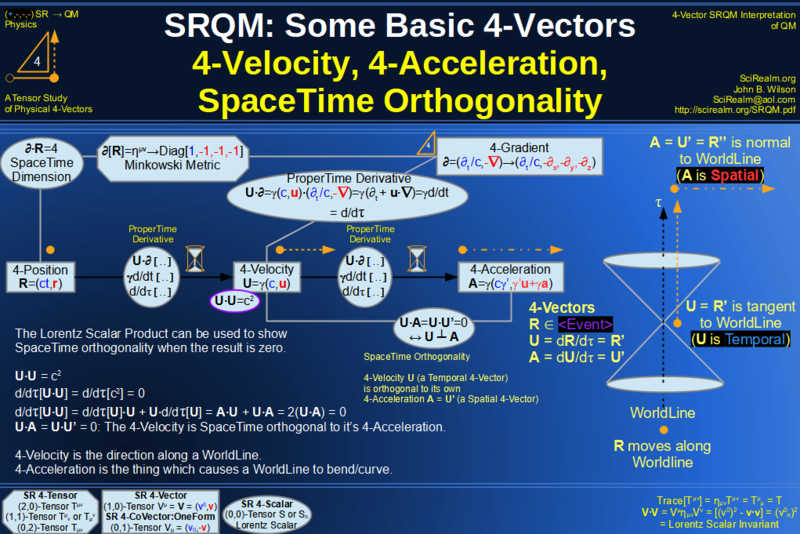 Special Relativity (SR): Theory of spacetime based on two assumptions. The laws of physics must have the same form for all inertial observers and the speed of light is a constant for all inertial observers. 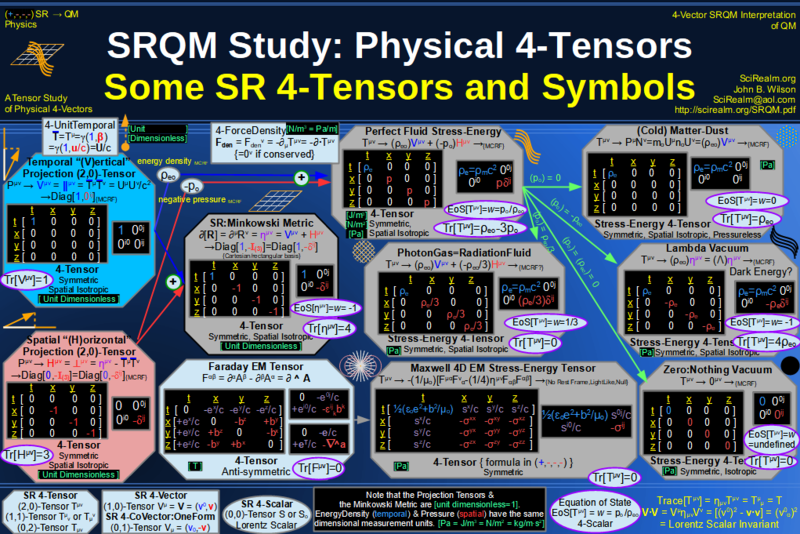 One can derive QM from SR.
Tunneling: The ability of quantum particles to enter regions that would be forbidden classically, such as when the potential energy necessary to enter a region is greater than the kinetic energy of a particle. I don't really see a problem with this, since everything is just particles anyway. There is no such thing as an impenetrable barrier. Uncertainty Principle: The amount of uncertainty in a first measurement, multiplied by the amount of uncertainty in a sequential measurement of a complementary property variable, must be greater than a certain amount. Also, the measurement of a property of a system known to be in an eigenstate of a complementary property involves at minimum a single quantum, which is enough to disturb the eigenstate. Wave: An observable correlation in measurement outcomes. The following are revolutions in physics, where long held concepts had to be modified to incorporate new experiences. These changes in thought have been proven necessary by experiment. Quantum theory is able to explain a much broader range of physical phenomena, and with more detail, than classical mechanics. 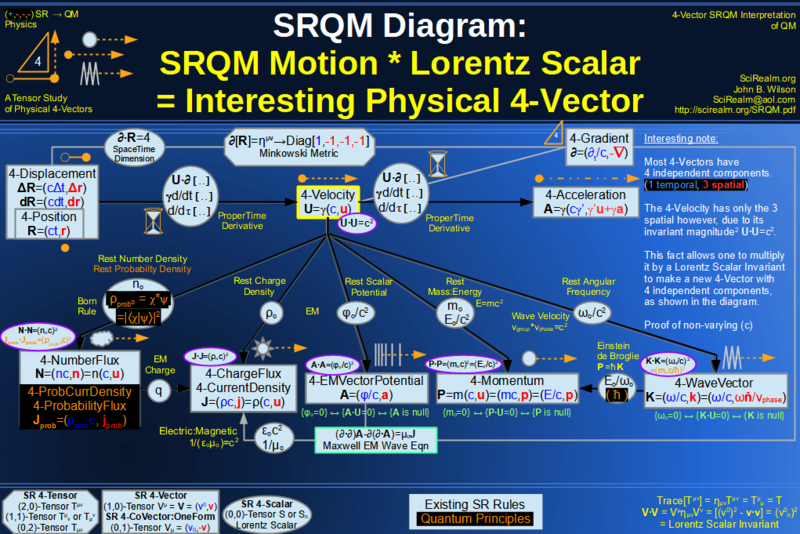 Does this mean that classical mechanics is wrong? No, it just means classical mechanics is an approximation, valid in a limited set of physical phenomena. 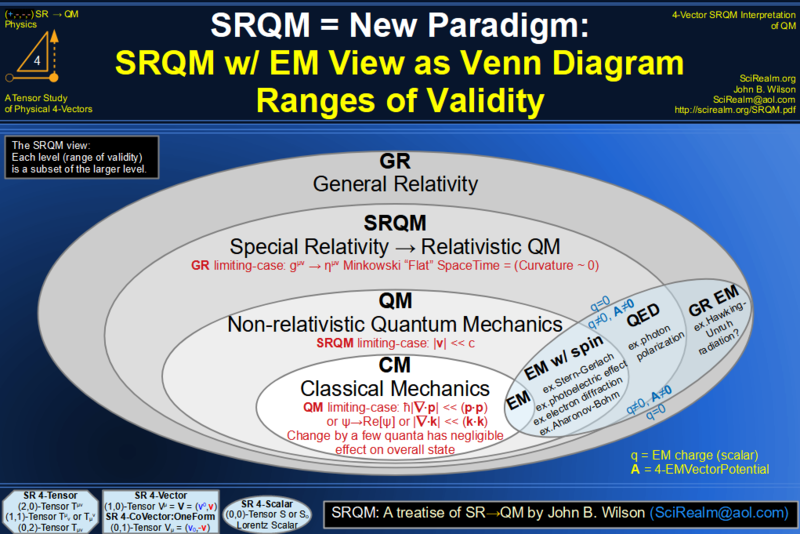 Quantum mechanics must give the same results within the valid region. It can be shown that classical mechanics is a limiting case of quantum mechanics, and a good approximation for large scale systems, in which the wave-like characteristics of individual particles are not important. 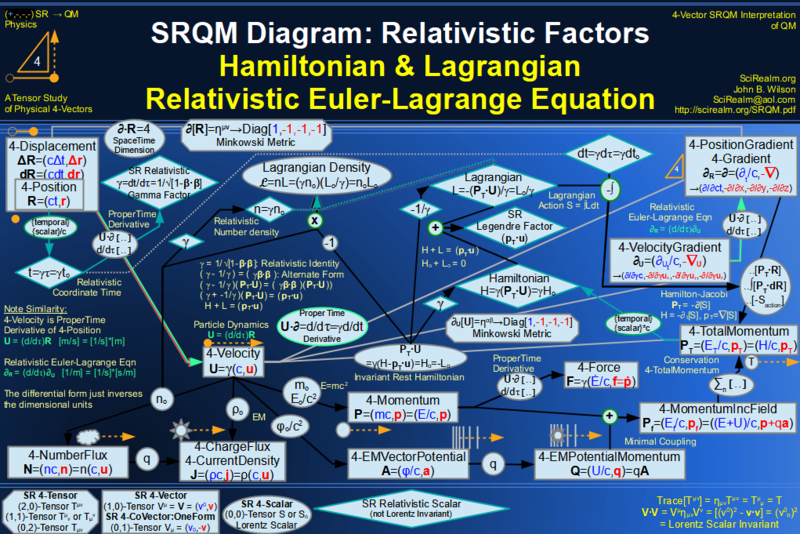 Relativity is able to explain and give reasons for some intimate connections of physical properties that classical mechanics does not address, such as the connection between mass and energy. 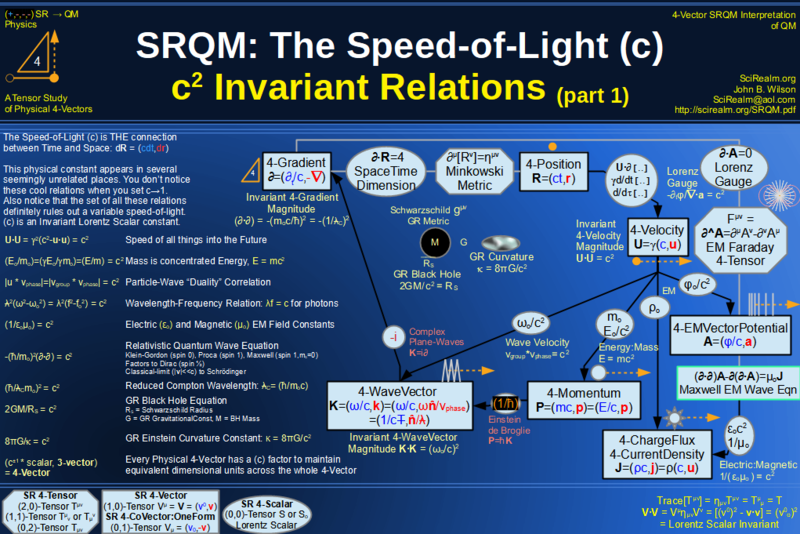 Also, it became necessary when classical mechanics failed to give correct results for particles moving at a significant percentage of light-speed. 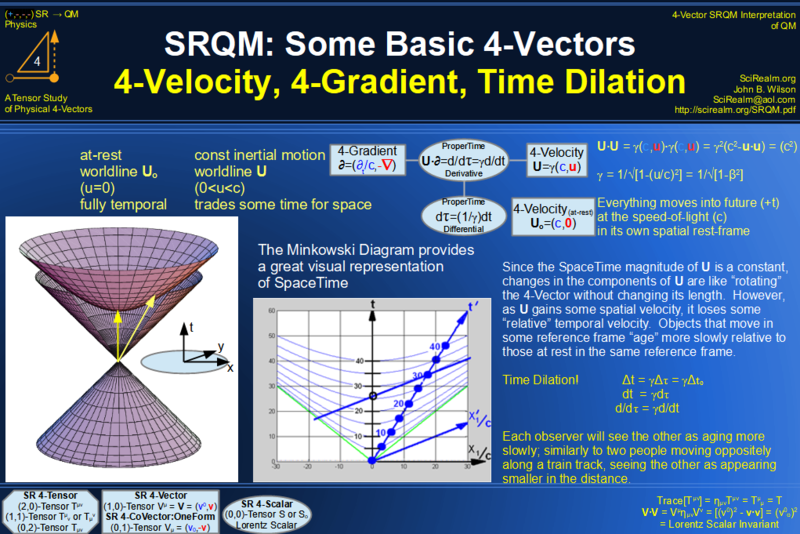 Classical mechanics is again shown to be a limiting case of relativity, and a good approximation for velocities much less than the speed of light (v<<c). Almost every physics book (except the few enlightened ones) will say with regard to EM measurements that EM fields are the "only observable quantities", and therefore they are the "real" physical observable, with the EM potentials being only a mathematical construct. However, the Aharonov-Bohm experiment shows that the potentials can have an observable effect, even though the fields are zero. Potentials should be considered the "real" physical quantities. Almost every physics book will say that the overall phase factor of a quantum wave is "trivial". A few give arguments that this is based on gauge symmetries, where others simply show that the overall phase gets "complex conjugated" away in the probability calculation. It is my belief that this argument is flawed. 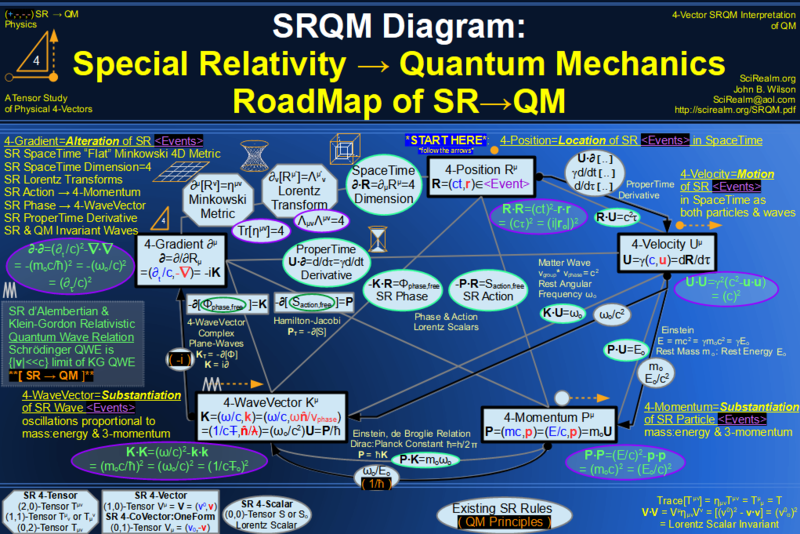 I believe that the overall phases are in fact the extra information in a quantum system that determine the outcome of an individual measurement. 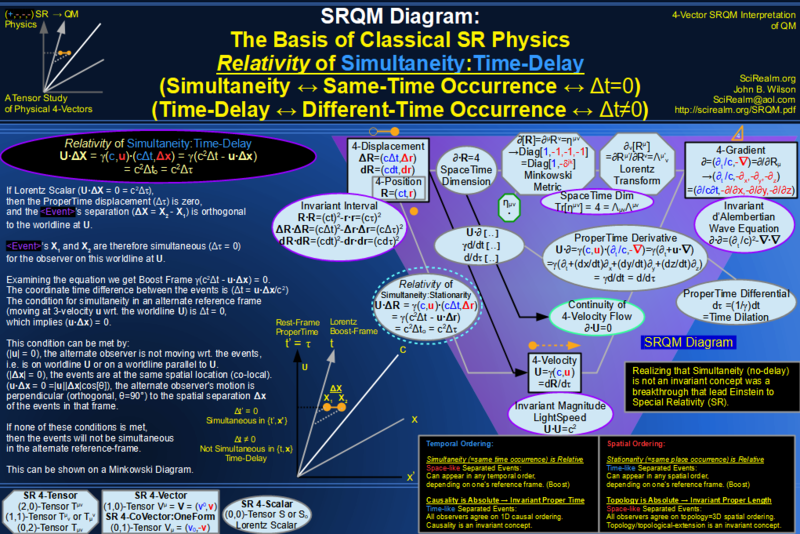 Reasoning is as follows: An "unobserved" system time evolves deterministically according to the quantum equations (Dirac/Klein-Gordon/Schroedinger). An "observed" system time evolves in a such a way that a discrete choice is made by something (Observer/Nature/God/Particle/whatever). Normally, this is attributed to pure chance. However, any "observed" system is actually just a subset of a larger "unobserved" system that is time evolving deterministically. Thus, the apparently random "discrete choice" is actually determined by something in the larger picture. For decades, many physicists have looked for hidden variables to explain this, mostly without success. Again, I believe that the non-trivial overall phases are the important factor. If so, then they are not ruled out by most of the arguments against hidden variables. The overall phases could act in such a way that they don't alter the probabilities of various results, but could be the selection factor that actually picks one result out from the many. The phase is a relativistic invariant, a major plus for this argument. 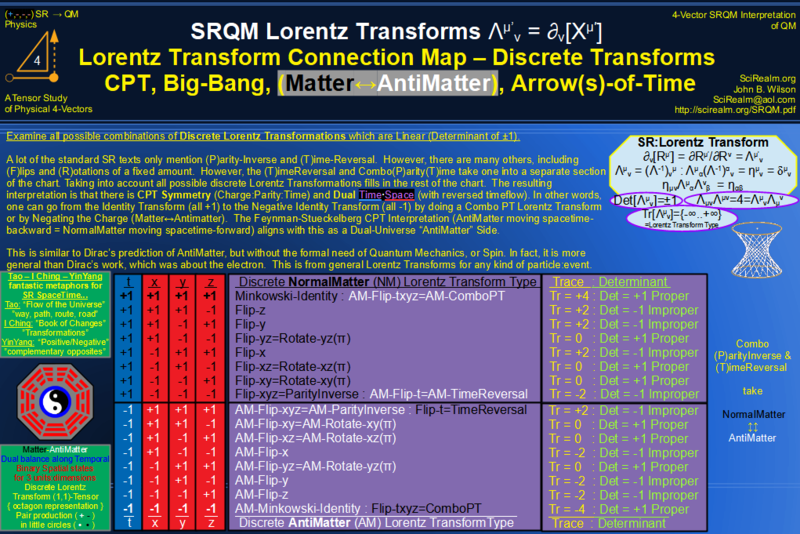 It also has built-in the description for moving through spacetime (Φ =K·R = ωt-k·r). Consider a pair of entangled particles (one spin-up, the other spin-down) moving in opposite directions. Their relative phases remain locked unless they move through different potentials, which would alter their phase relations, and I think, their correlations. 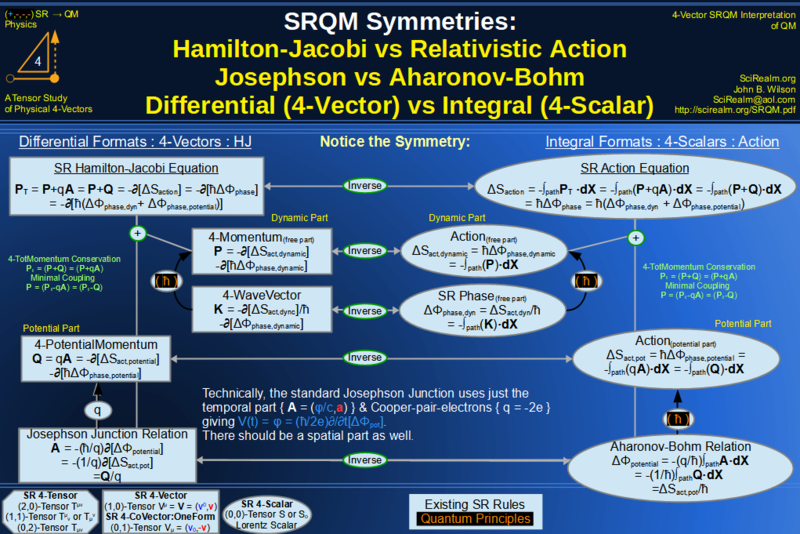 There is nothing in QM that says anything about simultaneous measurements. The structure of the principle shows that it applies to sequential measurements. Thus, the measurement of the first observable places the system in a state such that the subsequent measurement on the complementary observable lies within a range of values, with the product of the two uncertainties being greater than a certain constant. Thus, it applies to sequential measurements, not simultaneous. Geiger counters are the prime example, counting individual events. A single photon can be detected by measuring the photo-current it produces. Anything connected to an electric circuit ultimately shows up as a count of the number of electrons passing a given point at a given time. The trick, of course, is to arrange the physical system in such a way that the correlations between these events tells you some more information about the system. Other inferred properties could include: frequency, wavelength, polarization, phase, charge, mass, energy, momentum, hypercharge, etc. 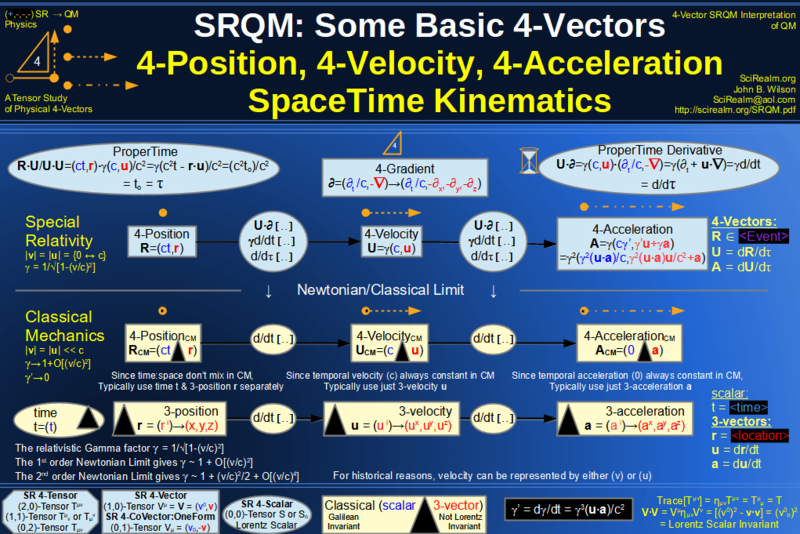 Particles are physical spacetime events which carry information, and QM ket vectors are actually informational, not physical. The simplest explanation for the things that we observe are particles. Particles are localized entities which exist as events (i.e. they have definite location in space and time) and carry information. The information are the particles properties, such as mass, energy, momentum, spin, frequency, phase, polarization, charge, etc. 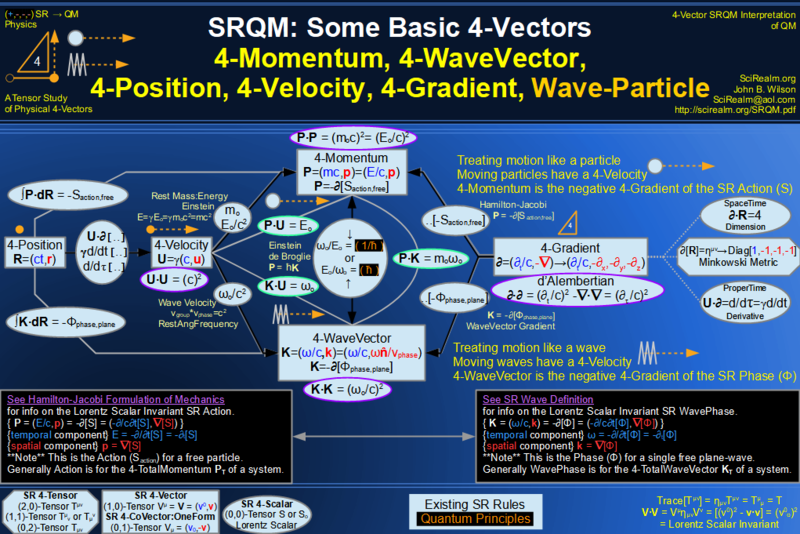 The QM ket state vector is actually only the information that you have regarding the state of a system. It only corresponds to the information one has about the actual state, it is not the actual state. Hence, different parties may have slightly different ket vectors, those that have access to more or less or different information. Example, Schrodinger's cat. The cat (inside the box) gets into a state of mixed |alive> + |dead>. Two outside observers calculate the same ket as soon as the box is closed. After a minute or so, one observer looks inside, then closes the lid again. He recalculates his ket vector, which may have new information. He doesn't tell the other observer, who must be content with his original ket vector, since he has no new information. 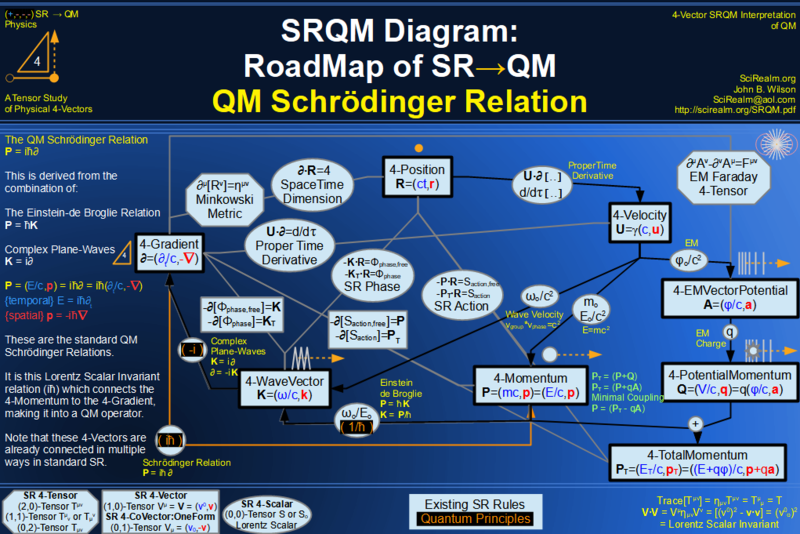 QM is one of the most fantastically successful theories ever found. However, it only predicts the probabilities for various outcomes. We know from experience that the outcomes are discrete individual events. 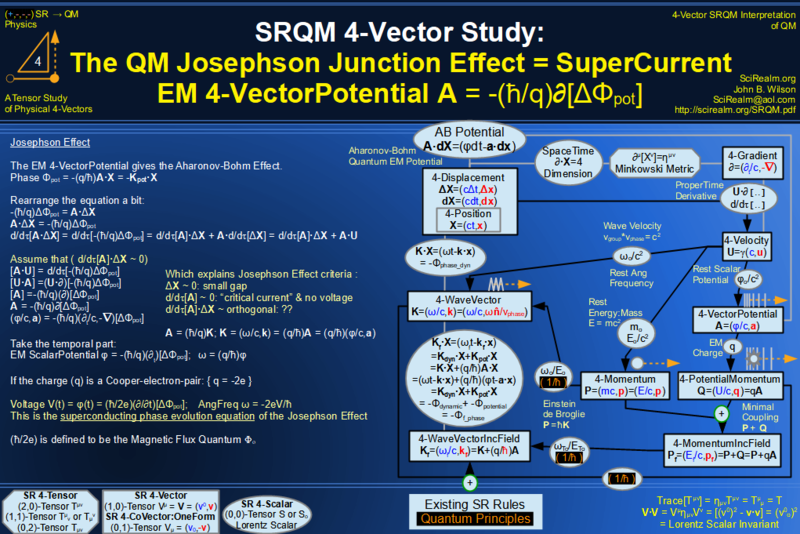 QM is unable to give us answers, for instance, when we ask where will a given photon land. 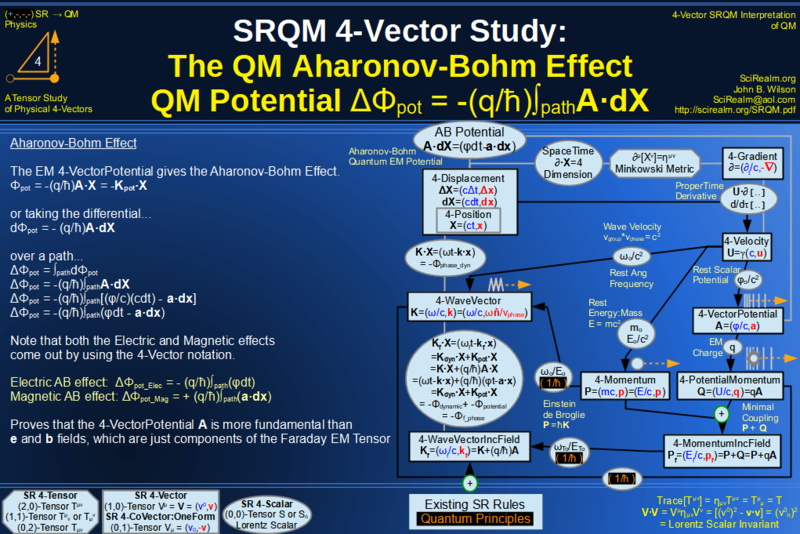 QM only predicts the probabilities. 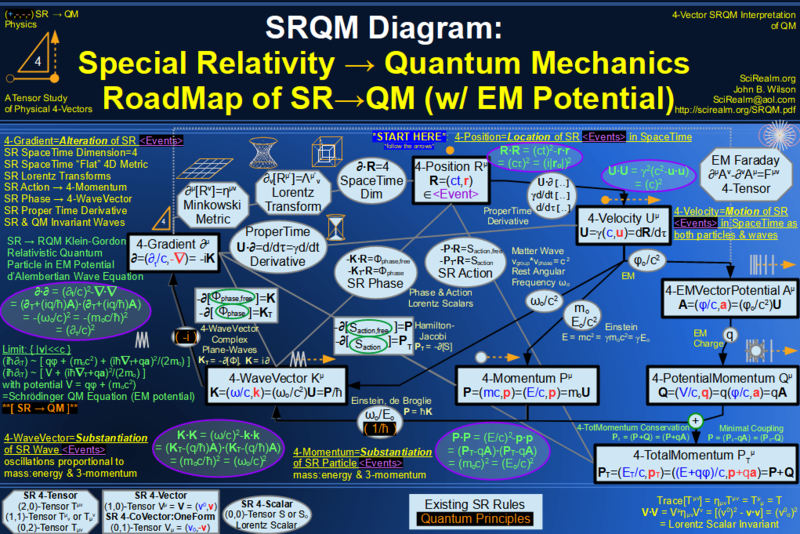 I think that if QM were a complete theory, we would not even be able to ask the question. In other words, the so called wave-particle duality is not totally symmetric. The wave aspect is just informational, in the sense that it "tells" the particles where to go. No one has actually seen an individual wave. What they see are collections of particles moving coherently. The double-slit experiment demonstrates this. When "slowed down" so that only single particles are available, the "wave pattern" builds up over time. Each detection, however, is of individual particles. Another way to think about it. Run the experiment. Then, move the target screen a bit closer to the slits. Run it again. You will get a slightly different wave pattern. Move it a bit closer. Run it again. Each time, the wave pattern will change slightly. Eventually, the target will be directly behind the slits, in which case you have effectively got a particle detector, which each particle at one side or the other. Now, think about it, this experiment smoothly and continuously transformed the "so-called wave" into individual particle strikes. All interference/diffraction effects can be explained in terms of particle interaction between a particle "in-flight" and the "edge" particles of a given structure. If an EPR experiment is performed vertically, in such a way that gravity must be taken into account, you will find interesting results. It might take a while, but it's coming... It's all a matter of numbers, like 10^23. It's already here. The question is, when and how will it protest when we are about to turn the power off? It might not be fusion, but something is going on here...it's worth investigation. Less paranoia, more research: the seeds of incredible medical technology are here. Besides, the scary stuff is not this, it's genetic engineering. However, even that should be researched. To anyone who can see no value in human cloning, consider the following: Individual organs grown in solution, which could be used to replace any that fail in your body. Why cloning and not transplants - no immune system rejection, no outside donors necessary-you are your own donor. Message to the religious people - relax, there will be no armies of clone people invading us. Robots are much cheaper, stronger, faster, and don't take 15+ years to grow and train. Oh yeah, robots follow orders too. In mathematics, the question arises: Is new mathematics discovered, is it invented by people, is it created from nothing, or from existing math? The process of creation is not an arbitrary enterprise. I propose that mathematics exists independently of people and thought. Discovery is just the process of finding arrangements of matter or concept that have not been previously noticed. Invention is just the process of making rearrangements of matter or concept that have not been previously noticed. Only valid/logical/physical arrangements and rearrangements are allowed by nature. Thus, all creations are really just discoveries or inventions, which are just new arrangements of matter or concept. The Universe is a wondrous place full of mystery, waiting to be discovered and explored. To find the path, you must but open your eyes...but a good Search Engine can help! All paradoxes are ultimately explainable. A paradox is an situation which seems to be illogical based on the assumptions of the examiner. However, all paradoxes may be resolved by examining not the situation but the assumptions. One or more of them are usually mutually incompatible. 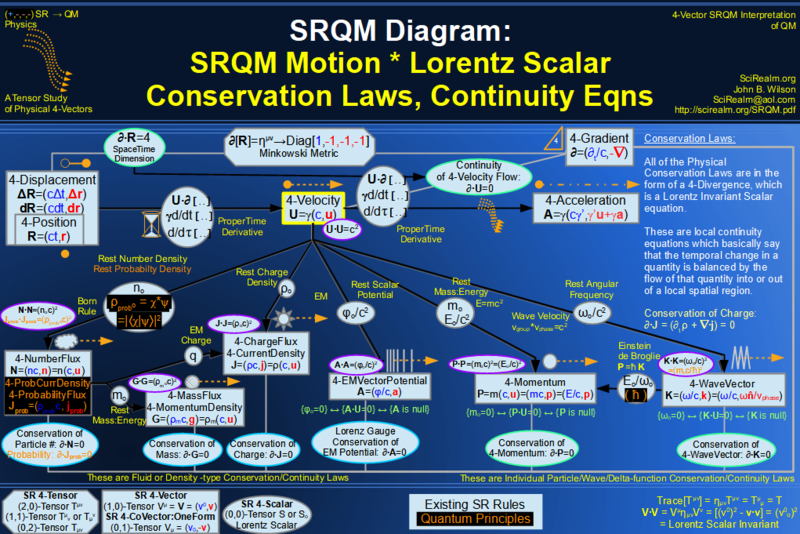 In the EPR case, the assumptions would be the fundamental ideas behind both the Relativity and Quantum Theories and the situation would seem to be their mutual incompatibilities concerning entangled states. 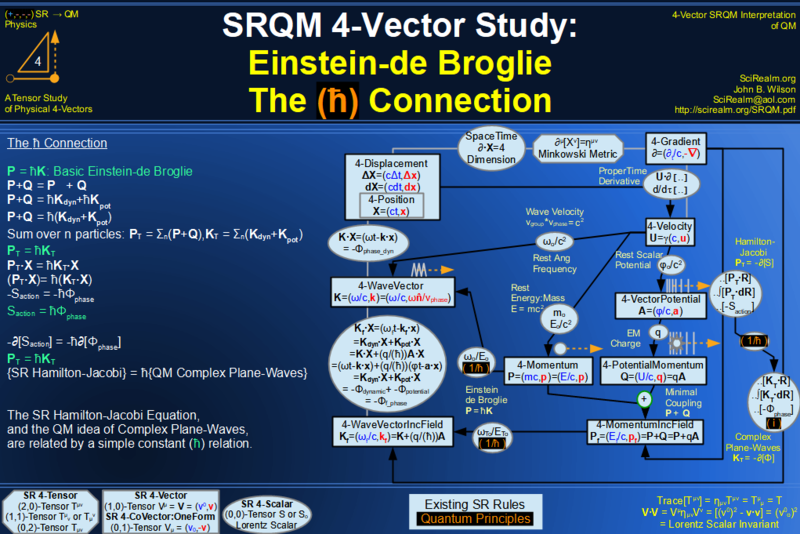 Personally, I do not believe that Quantum is the complete theory. Here is more info on the EPR Paradox. It's real, but hard to observe over human lifetimes. See the section on artificial life for evolution occurring in a laboratory setting. All of the basic geometric shapes are here, and these will be used as the building blocks of nano-technology. Perfection of Mind, Body, Spirit. The way of harmonious/coordinated energy/power. The best way to win a fight is to avoid it. Knowledge is Power, Wisdom is Responsibility. You should have equal measures of both. Socrates: An unexamined life is not worth living. Anything that uses a genetic code (ex. molecular-DNA, symbolic-Computer GA AL's) to store the information necessary to recreate itself. This would of course also include the instructions for building the proteins, enzymes, etc. 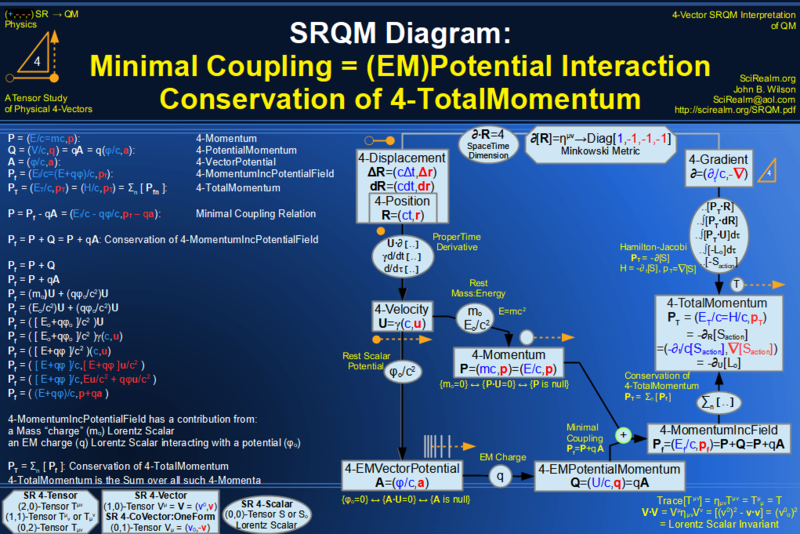 (program code) necessary for the life functions/metabolism of the organism. Viruses and AL creatures are therefore living creatures as well. The only essential difference is the environment. AL creatures currently only exist within a computer operating system. However, more and more the silicon life is getting mobile in the form of robotics. At that point, can you really say that their environment is not the same as ours? What will be interesting is when the non-DNA based natural life is found, or when man-made artificial life becomes intelligent. Control of nature at the molecular level - possible physical immortality - definitely incredible medical technology. We are currently at the MicroTech level. God=Universe=Laws of Nature - Science is the study of these. This belief system has a lot of advantages over the traditional organized religions. It's a great approximation, but it is still only a statistical theory. There are still deeper layers of description to be found. In any case, something has to give both relativity and quantum mechanics as appropriate limits. Hints for everyone: quantum measurements ultimately boil down to the detection and magnification of single space-time events. These events are caused by particle interaction. 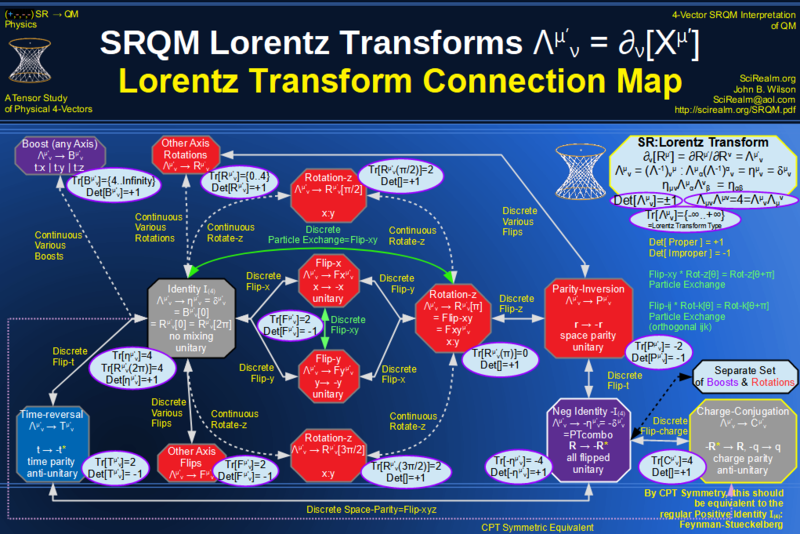 The wave aspect of QT is based on the probabilities of events occurring over a specified spatial and temporal region. 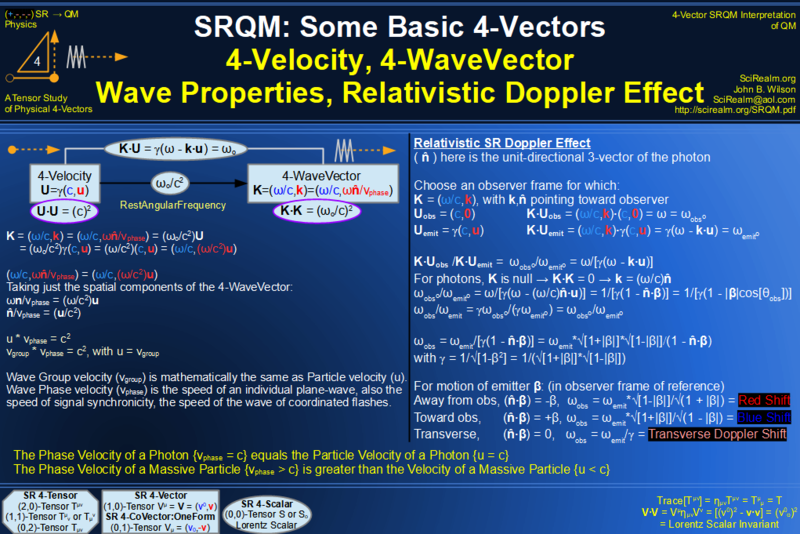 All wave phenomena (interference, diffraction, etc.) 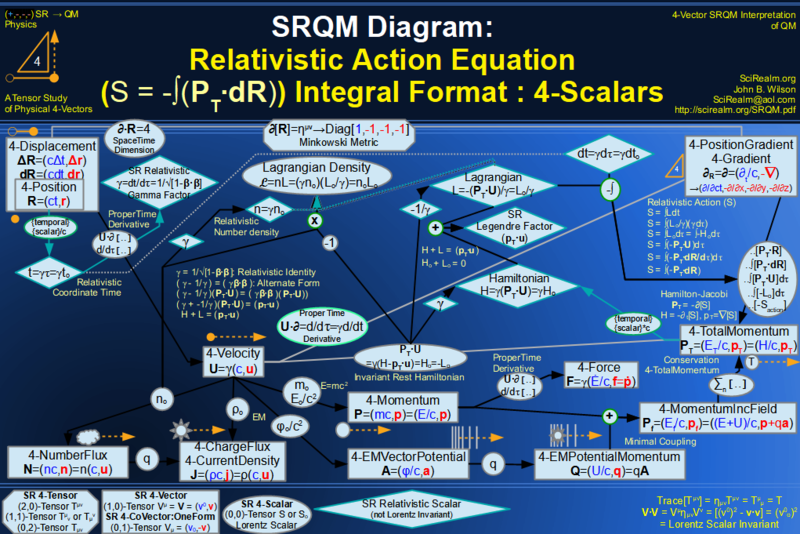 is simply the result of particle scattering. Tunneling: everything is just particles, there is no such thing as an impenetrable barrier which is magically tunneled though. Tunneling simply involves fewer particle interactions as the test particle moves through the region. Quantum Physics doesn't have to be strange if you think about it in the right way. Everyone has a belief system of one kind or another that helps them organize the amazing array of facts surrounding them. Seek Truth and Avoid Falsity. The religion with built-in error checking, verifiable and accurate predictions, the ability to incorporate new experiences, that anyone can do if they just use their brain. Anything is possible, but doubt everything first. This will help you to seek truth and avoid falsity. The ability to ask How? and Why?. Happens when enough atoms get together and contemplate about the universe and themselves. The ultimate underlying goal of all living things. Improvise, adapt, overcome. That which does not kill us makes us stronger. Darwin is correct. Evolution has been proven in both natural and man-made environments. See the AL section. Fundamentally, we (life, the universe, and everything) are the synergistic expression of large number of quantum interactions. I believe that these interactions are completely deterministic. However, be they deterministic or random, they completely determine the fate of large scale systems (like people). So, ultimately, we are robots composed of quantum legos. This is also known philosophically as hard determinism. However, before we take it too far and hit fatalism, let's examine a few things. The synergy of large numbers provides an interesting phenomenon - consciousness. We have the perception of self-identity, free will, abstract thought, etc. This gives us lots of wonderful, beautiful things to discover, but it brings a price - morals, ethics, values. This takes determinism and softens it, which is philosophically known as soft determinism. 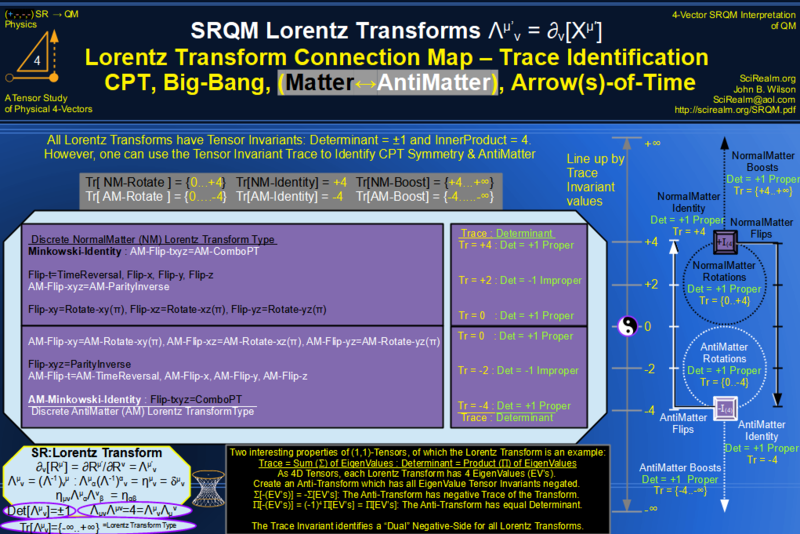 CPT Symmetry, Baryon Asymmetry Problem Solution, Matter-Antimatter Symmetry Solution, Arrow-of-Time Problem Solution, Big-Bang!